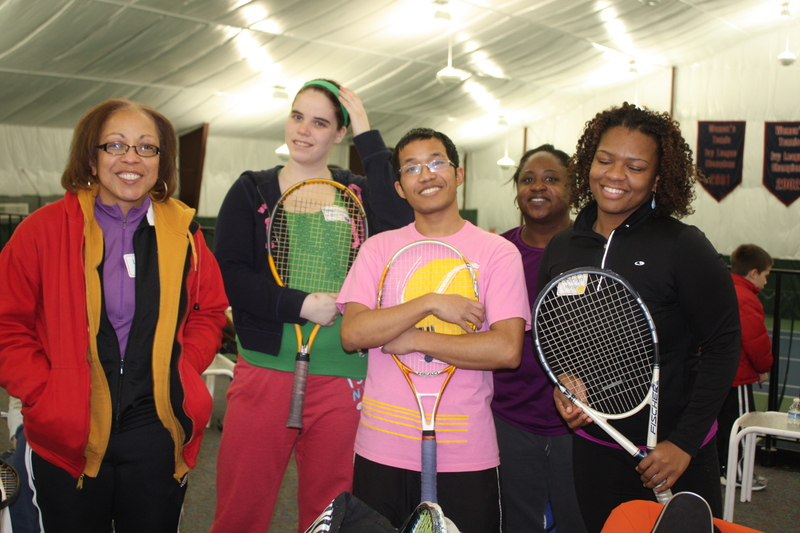 A group of community tennis enthusiasts gathered for a free Happy Hour Tennis Social Friday night, Feb. 1, at the University of Pennsylvania’s Levy Tennis Pavilion, as the United States Tennis Association Middle States Section (USTA MS) hosted a two-hour social to bring together a number of diverse groups from the greater Philadelphia area. The event, which included food and drink for all registered players, involved approximately 60 individuals who traveled from all over the greater Philadelphia region. Those in attendance had a chance to compete on the court in doubles matches and network off the court during their breaks. Players on hand ranged from beginner to experienced and were broken into teams before the play began. While many at the event were USTA members, there was only one rule about who could register for the event: you had to have an interest in tennis. Registration for the event, which was free, filled up in just the second day it was advertised. For more information on USTA Middle States programs, visit our Web site at www.playtenniswithus.com.